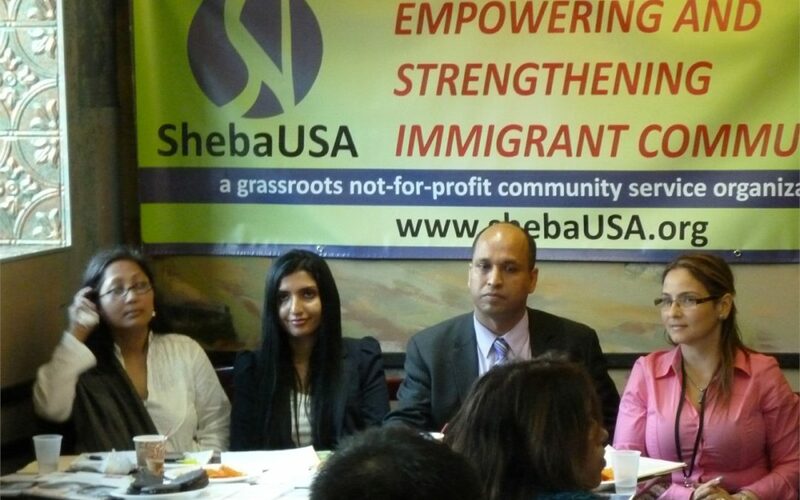 ShebaUSA and the Mayor’s Office of Immigrant Affairs organized a forum session regarding ‘Know Your Rights and Responsibilities’ for the local community on May 29, 2013. It was held in Jackson Heights – heart of many immigrant communities. Speaker from Mayor’s Office of Immigrant Affairs, Elmhurst Hospital …. and others speak to this event. They speak about the finding job, health facility, and other rights and responsibilities provided by city and other organizations. Ms. Shama translate the event in Bengali. The event was packed by enthusiast audience. Pictures of the event here.